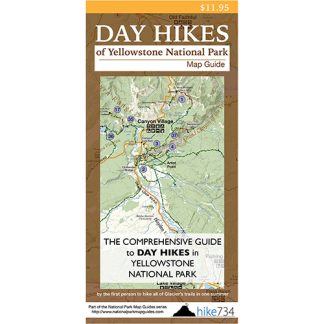 This short, level loop features a pond, meadows, forest, hydrothermal features, and a wonderful overlook of Yellowstone Lake. The hike begins at Indian Pond in the midst of a large meadow surrounded by lodgepole pines. This habitat is perfect for wildlife from bison to waterfowl. Just past the pond, the trail forks and creates a loop to the lake. While the left fork leads to Mary Bay, take the right fork that heads into the forest. You walk through a lodgepole forest to a few hydrothermal features just before the lake. 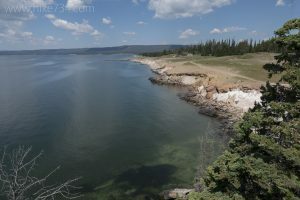 The trail follows along Yellowstone Lake past hydrothermal features and sandy beaches to the rocky outcrop of Storm Point. After enjoying the expansive lake, continue on the trail that loosely follows the shoreline of Mary Bay. Continue on the loop to the meadows at the beginning of the hike. Trailhead: The trail begins at Indian Pond east of Fishing Bridge on the East Entrance Road.